Raymond Van Dam, Professor of History, University of Michigan. Dr. Van Dam is an acclaimed historian of Rome, late antiquity, and the early middle ages. Among his many publications are: Kingdom of Snow: Roman Rule and Greek Culture in Cappadocia (U Penn P, 2002), Families and Friends in Late Roman Cappadocia (U Penn P, 2003), Becoming Christian: The Conversion of Roman Cappadocia (U Penn P, 2003), The Roman Revolution of Constantine (Cambridge UP, 2007), Remembering Constantine at the Milvian Bridge (Cambridge UP, 2011), and Rome and Constantinople (Baylor UP, 2010), a text which will be used in the UCSD Summer Institute in Istanbul. Anthony Kaldellis, Professor of Classics, Ohio State University. 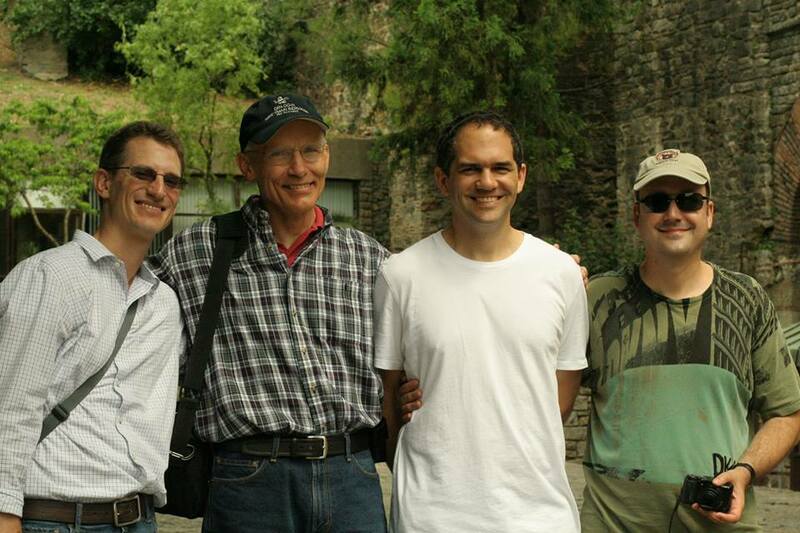 Dr. Kaldellis is a leading scholar –and one of the most productive– in the field of Byzantine Studies. He is the author of three dozen articles and chapters on a wide range of topics on Byzantine history and culture. His books include The Christian Parthenon: Classicism and Pilgrimage in Byzantine Athens (Cambridge UP, 2009), Hellenism in Byzantium: The Transformations of Greek Identity and the Reception of the Classical Tradition (Cambridge UP, 2007), and Procopius of Caesarea: Tyranny, History, and Philosophy at the End of Antiquity (U Pennsylvania P, 2004). Dr. Kaldellis is the series editor of the Routledge Classical Translations and serves on the Editorial or Advisory Board for Bryn Mawr Classical Review, Dumbarton Oaks Medieval Library (Greek Series), Byzantinische Zeitschrift, Greek, Roman, and Byzantine Studies, and Speculum: A Journal of Medieval Studies. Stefan Stantchev, Associate Professor of Humanities, Arts, and Cultural Studies, Arizona State University. Dr. Stantchev earned his Ph.D. in history at The University of Michigan in 2009 and joined the faculty of New College (ASU) shortly thereafter. Previously, he received an MA in Medieval Studies from the Central European University, Budapest, Hungary, and an MA in History from the University of Sofia, Bulgaria. Dr. Stantchev’s research interests focus on the religious and economic factors that shaped power relations within Europe and throughout the Mediterranean, circa 1000 to circa 1500. His work thus engages topics that are often treated separately, such as economic and church history, foreign policy and religious identity, family structures and networks of economic activity. It also transcends the boundaries typically drawn between Western, Byzantine, Ottoman, and Balkan history. Consequently, his teaching interests are equally broad: ancient, medieval, and modern Europe, Byzantine, Balkan, and Ottoman history. In his book manuscript, Spiritual Rationality: Papal Embargo as Cultural Practice (Formation and Operation of a Papal Policy in the high and late Middle Ages), Dr. Stantchev argues that the main object of papal sanctions was not the achievement of foreign policy objectives, but the maximization of the papacy’s control over its own spiritual flock. Dr. Stantchev has researched and published on Venetian-Ottoman relations, including: “Devedo: the Venetian Response to Sultan Mehmed II in the Venetian-Ottoman Conflict of 1462-79.” Mediterranean Studies 19 (2010): 43-66 and “Inevitable Conflict or Opportunity to Explore? The Mechanics of Venice’s Embargo against Mehmed II and the Problem of Western-Ottoman Trade after 1453.” Mediaevalia 32 (2011): 155-96. Hasan Kayalı, Associate Professor of History, UC San Diego. Dr. Kayalı is an eminent Ottoman history and author of Arabs and Young Turks. Ottomanism, Arabism, and Islamism in the Ottoman Empire, 1908-1918 (U California P, 1997) and co-editor of From Empire to Nation (Rowman and Littlefield, 2006). He has written numerous articles dealing with such topics Ottoman administration, on nationalism, on Jews in Ottoman government, and on the struggle for Turkish independence. He teaches the history of the Middle East and earned the UCSD Distinguished Teaching Prize in 2010. Dr. Kayalı teaches courses on the history of the Middle East in the Islamic period. He studied at Harvard University, where he received his B.A. in Government (1978) and doctorate in History and Middle Eastern Studies (1988). Fariba Zarinebaf, Associate Professor of History, UC Riverside. 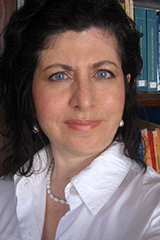 Dr. Zarinebaf specializes in early modern and modern Islamic/Middle Eastern history with research interests in gender, urban and social history in the Ottoman Empire and Iran, and Balkan history. One of her books, Crime and Punishment in Istanbul, 1700-1800 (U California Press, 2010), will be used in this Institute. She has written many articles, including “From Istanbul to Tabriz: Modernity and Constitutionalism in the Ottoman Empire and Iran.” Dr. Zarinebaf is currently working on a book of Ottoman – European encounters in Istanbul’s Galata, 1700-1850. Faik Gür, Asst. Prof. of International Relations, Özyeğin University. Dr. Gür teaches courses on Turkish modernization and the politics of art and architecture. 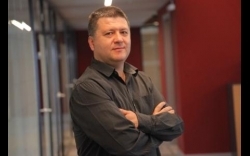 Dr. Gür received his Ph.D. in Anthropology from U Texas and holds MA degrees from the Center for Middle Eastern Studies (CMES) at U Texas and from the Atatürk Institute for Modern Turkish History at Boğaziçi University, İstanbul. He will lecture on art and architecture in the early Turkish Republic and on music and society. M. Asım Karaömerlioğlu, Professor and Assistant Director, The Atatürk Institute for Modern Turkish History, Bogaziçi University in Istanbul. Dr. Karaömerlioğlu received his Ph.D. in History from Ohio State University and his MA in History Bogazici University where he is now a professor. Professor Karaömerlioğlu will lecture nationalism and on politics and society during the Cold War. Matthew T. Herbst, Associate Teaching Professor and Director of the Making of the Modern World program and Associate Faculty Director of the Programs Abroad Office at the University of California San Diego, and a 2015 recipient of the UCSD Distinguished Teaching Award. Committed to international education, Prof. Herbst was a founding faculty member of UC San Diego’s Global Seminars and has led programs in Thailand and Cambodia, Turkey, France, and England. As a proponent of experiential learning, Prof. Herbst initiated a two-course Global Service and Research sequence in 2012 and led disability-focused programs in Istanbul in 2013 and 2014 and will offer a new disability program in Istanbul in 2016. Closer to home, Dr. Herbst leads wilderness seminars in the deserts and mountains of Southern California, working with Outback Adventures. Attentive to pre-collegiate education, Prof. Herbst serves on the Board of Directors at a public school in San Diego County and founded “Istanbul Between East and West: Crossroads of History,” a Summer Institute for middle and high school teachers, funded by the National Endowment for the Humanities (2013, 2015). Prof. Herbst serves on campus committees addressing disability, the first-year college experience, public service, international education, and educational policy, and is Board chair of the Burke lectureship. Dr. Herbst received his Ph.D. and M.A. in History from the University of Michigan, specializing in Byzantium, and his BA in History, Greek, and Latin from Binghamton University. Dr. Herbst’s website is found at http://ucsdherbst.org .